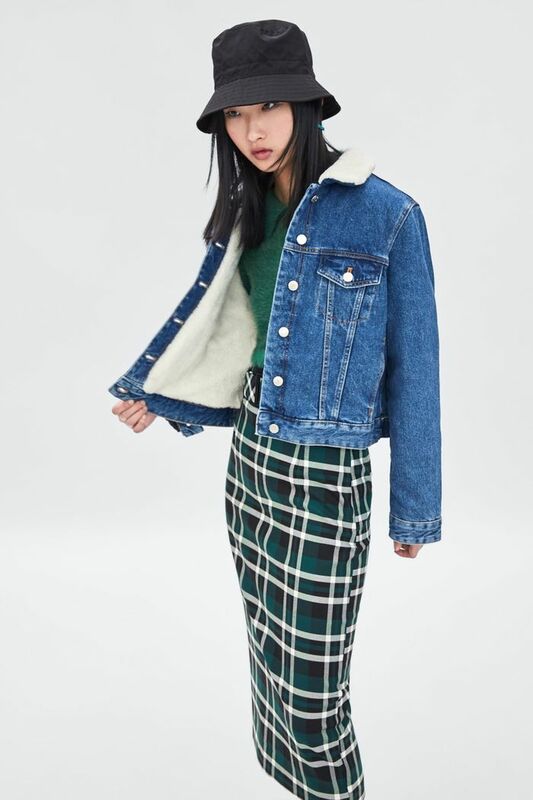 Denim jackets are our go-tos for summer nights, but now that it's officially fall, the weather is beginning to call for something a little more substantial. Sherpa-lined denim jackets have the same casual appeal, with an insulating layer of shearling (real or faux) to keep you warm. And lucky for us, they're everywhere this season. Designers are embracing the trend with a wide variety of iterations ranging from lined to shearling-covered sleeves and back again. Below, shop the shearling denim jackets we've had our eyes on all season long. Good luck deciding on just one. Next up, shop the number one puffer jacket Kendall Jenner just brought back.